Smart Diplomacy? Laziness? Or "Maybe the Copy Key Got Stuck on the Obama Speechwriter's Keyboard"? When the Democrats criticized George W Bush for ruining America's foreign policy and running roughshod over the "feelings" of foreign countries, friendly or otherwise, didn't the nuance and smart diplomacy they advocated entail using intelligence and understanding and discernment when dealing, sensitively, with the foreign countries in question, along with a minimum of careful planning? According to Obama, are we doing any better than, say, the Norwegians? asks the Danish Broadcasting Corporation's BS "detector". "Norway punches above its weight". But that's not all. What about the Netherlands? We learn that: the Dutch "punch above their weight." We learn that: "Ireland punches above its weight." And what about the Philippines? The Asian country (get this): "punches above its weight". • that "Germany is one of our strongest allies"
• that South "Korea is one of our strongest allies"
• that "Japan is one of our strongest and closest allies". It's called Smart Diplomacy; and don't you doubt it! Even in an effort “done on the cheap”, NATO could not have pulled off the Libya operation without the US, not even in the “non-hardware-and-brute-force” areas of intelligence and assessment, for which the Europeans have always argued was their actual contribution to the alliance. Last year's Nato operation in Libya, code named Unified Protector, is unlikely to have succeeded without US military support. Nato major-general Marcel Druart, addressing the European Parliament committee on security and defence on Tuesday (20 March), said Nato relied heavily on US military expertise on intelligence, surveillance and reconnaissance (ISR) capabilities. "There is the military machine on one hand and the political-military machine in Brussels," he said, explaining that to achieve a consensus among 28 nations is not always easy and takes a relatively long time. The military gangsters who masterminded the hideous provocations are going reckless, describing the DPRK's just sacred war as a "smear" and "protest campaign." This resulted in reinforcing the resolution of the army and people of the DPRK to take revenge upon the enemies in order to protect the dignity of its supreme leadership. It is the irresistible mind-set of the people and the requirement of history to clear this land of those arch criminals as early as possible. The group of traitors has no way out. What this dirty group prattled is nothing but a fit in despair and bluffing of the doomed. The group of traitors fated to face a stern judgment of history for its monstrous crimes against ethics and the nation is the primary targets of our precision strikes. A final showdown is about to take place. The Korean-style sacred war will make a clean sweep of the above-said traitors and help the nation settle its pent-up grudge without fail. They’re officially atheists, but call their wars sacred. Last year significant achievements were made in the great upsurge for improving the people's standard of living, and solid foundations laid for building the country into an economic giant in the 21st century. This said while quietly knowing that this is only possible after the regime collapses, of course. Why Write "the American Government" When You Can Use the Expression "the United Statesian State"? You see the blindness that is produced by anti-Americanism when you read a Le Monde news email and see to what lengths their determination to use the expression United Statesian (instead of American) has brought them. There we have it: instead of le gouvernement américain, "l'Etat états-unien" — instead of the American (or the U.S.) government, "the United Statesian State." Was there really noone at Le Monde to put up a hand and say "Hold it, you've — we've — taken étasuniens too far and we're getting ridiculous"?! Any French readers reading this? • Les États-Unis d'Amérique et ses habitants, les… Américains : Mon Dieu, quelle horreur, quel scandale, quelle manque de finesse, comment ôôôôôsent-ils agir avec un tel manque de respect et s'appeler ainsi ?!?! Sarkozy prône une UE protectrice et... repliée ? "Il a occulté son bilan, je peux le comprendre, il n'est pas en sa faveur." A propos des menaces à l'Europe, M. Hollande a déclaré : "Il m'a accusé pendant des mois de vouloir renégocier le traité européen sur les disciplines budgétaires [...] et voilà que M. Sarkozy [...] se met à traiter l'Europe comme un bouc émissaire et demande à ce que soient renégociés pas un traité, trois traités !" Were the Toulouse Murders Due to Hate Speech from the Right or to the New Age Chatter of the Left? Where Exactly is that Dust-heap of History? On EUranus, counting on its’ bricabrack to save them from mediocrity. Europeana is a prestigious initiative endorsed by the European Commission, and is a means to stimulate creative economy and promote cultural tourism. Does this fit in with the general profile because I thought that there was much more of a preference for a far right suspect — rather than somebody coming from an extreme Muslim background? Mainstream media outlets are having to backtrack (see the New York Times' initial presentation of the event as well as the Left's "professional" anti-racist group's spin) in light of news that French police have surrounded a house that belongs to a Middle East "youth" affiliated with al-Qaeda. His mother, of Algerian origin, has been brought in to discuss surrender terms with the man, who has said he wanted to avenge the deaths of Palestinian children. 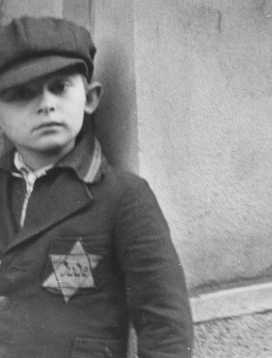 it is clear that the Jewish blood that has flowed since the Second World War has not been at the hands of the extreme right but more at those of the New-Age anti-Semitism linked to Islam or the Middle East conflict. … the political debate around the shootings, and whether the deaths of an instructor and three young children were somehow inspired by anti-immigrant political talk, is likely to continue — both as a weapon in the presidential campaign and as a more general soul-searching about the nature of France. … And in the middle of a long and heated presidential campaign, with President Nicolas Sarkozy trying to win back disaffected supporters who have drifted to the far-right National Front party, the shootings at Toulouse have raised new questions about the tone and tenor of the debate here about what it is to be French. … In some ways, the debate here is similar to that in Norway after Anders Behring Breivik killed dozens of young campers in cold blood in July. Were his actions encouraged in some way by too harsh a debate in Norway about immigrants and foreigners, or were they the acts of a madman who lived in a fantasy world and could have been from anywhere? 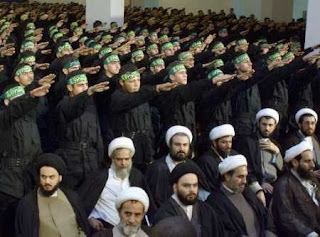 Regarding the killing of Jewish schoolchildren in Toulouse, Michel Garroté wonders whether Iran isn't involved and whether the Mullahs régime isn't targeting France for being in the forefront of the EU's SWIFT sanctions against Tehran. Like the United States, France is now confronted with a domestic terrorist acting on orders from abroad; let us not entertain any doubts that other crazies are in hiding, waiting only for orders to act, as are foreign sleeper cells (Hezbollah and Syrian, financed and trained by Iran's Pasdarans), as we already know them. Tout comme les Etats-Unis, la France est maintenant confrontée à un terroriste domestique commandité par l’extérieur, ne doutons pas qu’il existe d’autres déneuronnés prêts à passer à l’action sur ordre ainsi que des cellules dormantes étrangères (hezbollani et syriens financés et entrainés par les Pasdarans iraniens) telles que nous les connaissons déjà. In a statement, SOS Racisme suggests "discussions regarding the collapse in this country of political, intellectual, and media debate in response to hate speech and in favor of making us all live together." This organization, made to serve the defense of ethnic minorities, might as well ponder its own responsibility in the staging of victimhood competitions along with its blindness to the communal abuses encouraged by its differentialist ideology. In 2000, the professional anti-racists turned a blind eye to the rise of anti-Jewish sentiment in the slums. And rushing to lecture today has an air of indecency. At this stage, it is urgent to wait before starting to speculate. I, unfortunately, have too long an experience of anti-Semitic attacks over the last thirty years to know that the initial leads are rarely the right ones and to be wary of sweeping statements from politicians — or, even more so, from anti-racist associations. But I do not know if the tragedy is related to what has already happened. One thing is certain: from the Rue Copernic bombing, through the the Rue des Rosiers shooting, to the sad Halimi affair, it is clear that the Jewish blood that has flowed since the Second World War has not been at the hands of the extreme right but more at those of the New-Age anti-Semitism linked to Islam or the Middle East conflict. This is an absolute certainty. The historical background is undeniable. Iceland considers adopting the Canadian dollar instead of the euro. For the opposition party which initially floated the idea last summer, the Canadian dollar could be more attractive than the single currency. Polls say seven out of 10 Icelanders want to ditch the kroner. But the population is split between the euro and the Canadian dollar. Surveys also show that just 26 percent want to join the EU. Oddly enough, the fact that the Canadian dollar has always been a ‘single currency’ which has never been at risk of abandonment or collapse seems to go unnoticed by the Brussels-based journo. In early March, Iceland's former leader Geir Haarde was put on trial for "gross negligence" on the banking collapse. I’ve been shorting gold and Treasuries all month, Muthaf*ckahs!